The other day, I asked my niece what she wanted for Christmas. "A bow and arrow," she promptly responded. I turned to my brother and asked, "Katniss?" 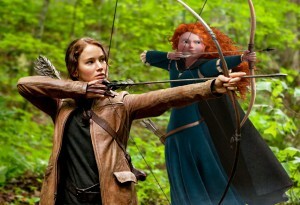 From Geek Armada's excellent post on the female archer in 2012. Disclaimer: I'm not an archer, and I don't have any advice on what makes a good bow. I'm going on product descriptions and customer reviews here. Buy — and arch — at your own risk. If you want to make a more informed decision, Archery World has an excellent introductory tutorial on types of bows, equipment vocabulary, and the proper bow length and weight to choose. Visiting your local outdoor supply store should also net you good results. 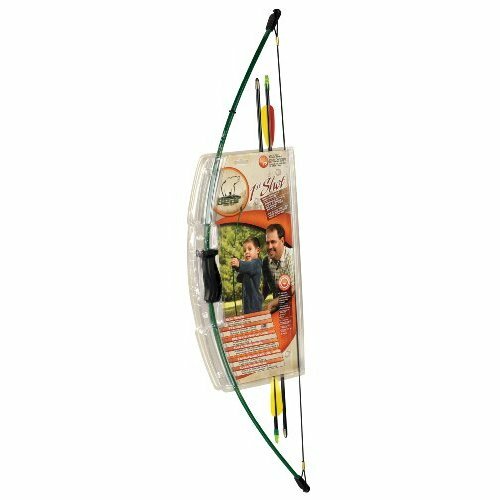 The Bear Archery 1st Shot Bow Set is designed to teach children ages 4-7 the basics of drawing the string, aiming and shooting. Available for $16.86 at Amazon. The Internet seems to agree that the bow of choice for serious archery training is the Diamond Nuclear Ice Youth Bow. It's pricey, but it's quality. And it also comes in pink. 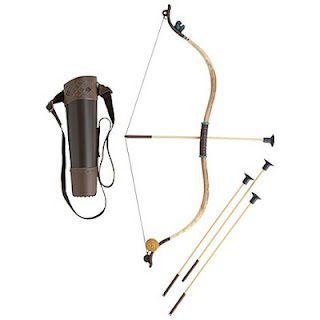 Available for $199.99 on Hunters Friend. If you're more interested in appearance than performance, the Brave bow and arrow is for you. It looks like the one Merida carried and is a good size for small hands. Just don't expect it to last forever or, you know, shoot straight; this is more costume than weapon. The arrows are tipped with suction cups. Available for $35.99 at Amazon. L.L. 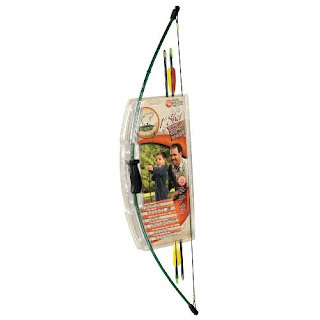 Bean has a nice starter archery set that will allow you to specify the size you want and whether you're left or right handed. The website includes instructions for figuring out what the heck to order. It's more expensive, but it looks like you can actually learn on it. Available for $139.99 at L.L. Bean. 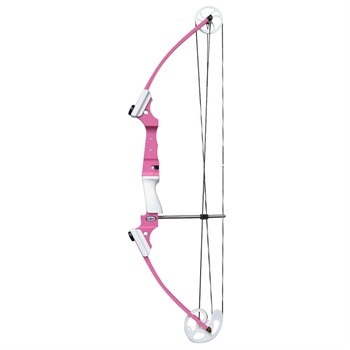 The Genesis Original Compound Bow is so ... so ... pink! The product description promises that the size is appropriate for teens and adults. 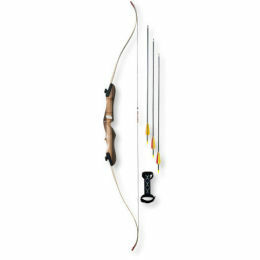 This website has a number of compound bows, but at those prices (some as high as $700+), they're probably better for a dedicated archer, rather than someone picking it up on a whim. 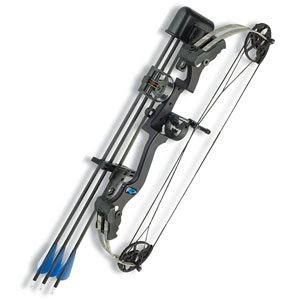 Available for $169.96 at Bow Viper. 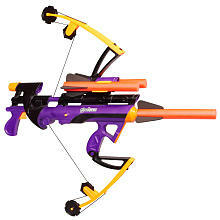 The Marky Sparky Faux Bow feels like drawing a real bow, according to the product description, but it releases foam missiles. 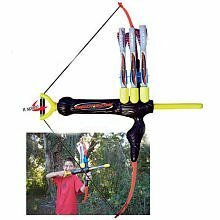 It's a good compromise if you've got a kid who wants the feel of a bow, but you don't want actual arrows flying around your yard. Available for $24.99 at Amazon. 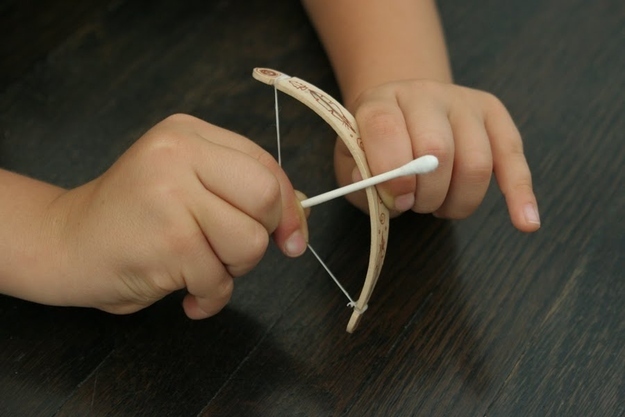 The Avengers Hawkeye Bow Toy looks more like a triumph of branding than skill-based learning, but imagine how much fun the child in your life will have shooting these foam arrows. Available for $32.99 at Toys R Us stores or online. Want to spend no money at all? Buzzfeed has the deets on making a tiny bow and arrow out of a popsicle stick and a q-tip. Seriously. A shopping note: You've basically got a week to get any online purchases shipped to your house before Christmas. If you're looking at the Amazon options, this might be a good time to invest in Prime. At the risk of sounding like a Prime commercial: Not only do you get free two-day shipping, but you also get free Kindle book loans and streaming audio and video, all for less than $7 a month. In fact, Prime would be a fantastic Christmas gift for the Amazon-lover in your life. I still cackle with maniacal glee every time I get my free two-day shipping on a tiny, insignificant purchase.